The Ping An International Finance Centre’s 118 floors, located in Shenzhen’s Futian district, reaches a height of 600 metres. It’s the fourth tallest building in the world, but only the second tallest in China. Standing on its glass observation deck, the glossy fairway of Shenzhen Golf Club unfurls beneath your feet. Chances are your eyes will glaze over a row of office blocks to the West of the fairway. That’s a shame — because the epicentre of Shenzhen’s underground club culture is tucked into the ground floor of one of these buildings. On a humid January evening, two hundred people have crammed themselves into the building. A steady ebb of sub-bass is intermittently interrupted by Chinese voices screaming along to traditional Minyao (民谣) folk songs teased by the DJ. 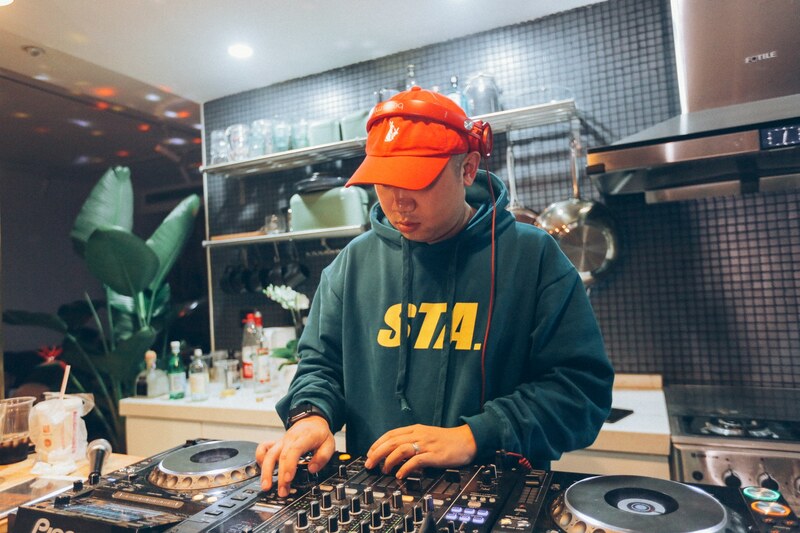 The club, called OIL, is one of a group of new spaces that have recently opened in mainland China dedicated to showcasing their own strain of club culture. Its compatriots include Zhaodai in Beijing, Loopy in Hangzhou, ALL in Shanghai and Nomad in Chengdu. I set off on a tour of 5 Chinese cities this October to try and get a sense of what’s going on in China’s clubs. I arrive in Chongqing in the second half of Golden Week, the national holiday conceived at the turn of the millennium by the Chinese Communist Party. 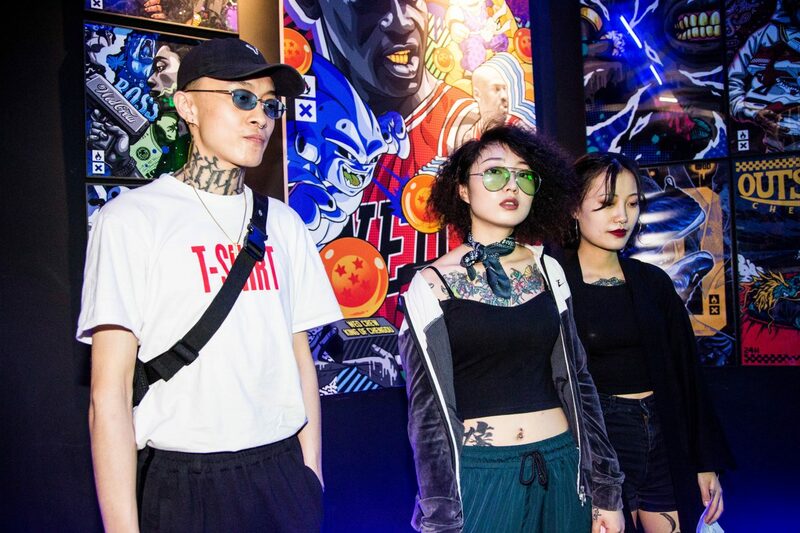 It’s not rooted in any tradition and as a result, it’s a particularly busy time for China’s nightlife circuit as young people find themselves unconstrained by the family commitments typical of most Chinese holidays. NUTS Livehouse, located in Chongqing’s oldest city centre (the city has several city centers) in the Yuzhong district, is a pillar of the city’s nightlife. 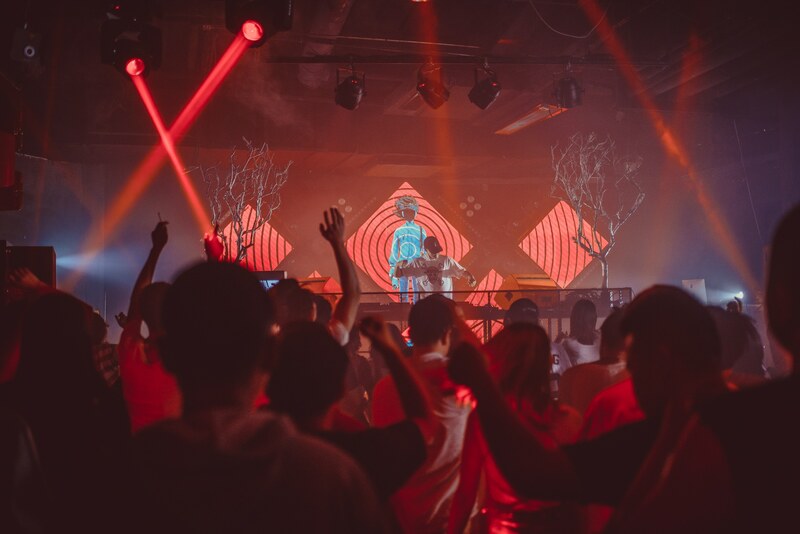 Founded in 2007, it typifies the Chinese phenomena of the Livehouse, a multi-purpose space predominantly set up for live performances, but also functioning as a bar and a club. A good proportion of underground club nights in China still take place in livehouses as opposed to purpose-built venues. 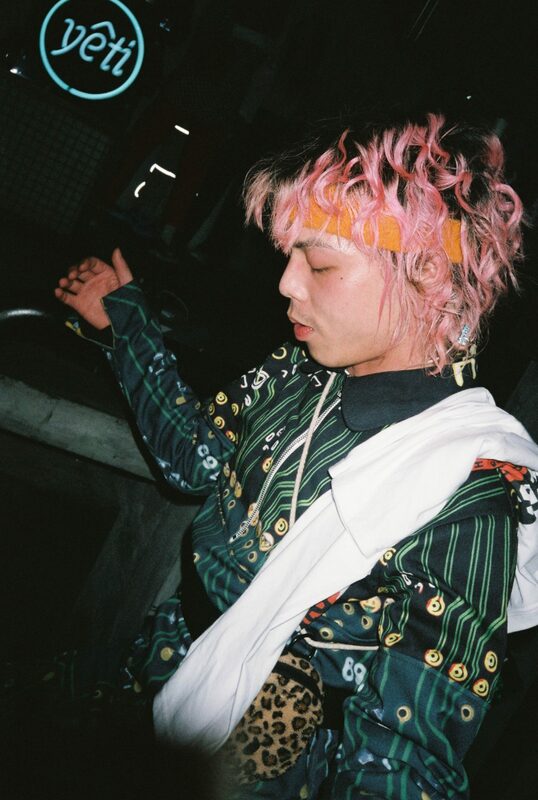 The reality is that the underground scene is still in its relative infancy in China, and outside of China’s most developed cities, can only sustain a handful of clubs in any one city. From her perspective, local crowds are receptive to hearing a variety of music – so that’s exactly what she gives them. The Thursday crowd doesn’t seem attached to any one cultural tribe, aside from a few individuals sporting obvious subcultural insignia (there’s a few leather jackets adorned with indie rock band pins). The numbers stay consistent throughout all the acts— the crowd has few expectations and engages with each act on its own terms. It’s an energizing sensation to attend an event without the tribalism that often accompanies mature music scenes in the West. A 10-minute taxi ride down the city’s winding mountain passes takes us to the banks of the Jialing River, where there are signs that Chongqing’s clubbing landscape is maturing. Set into the hills, Cream recently opened this year and it’s entirely dedicated to hip-hop music. 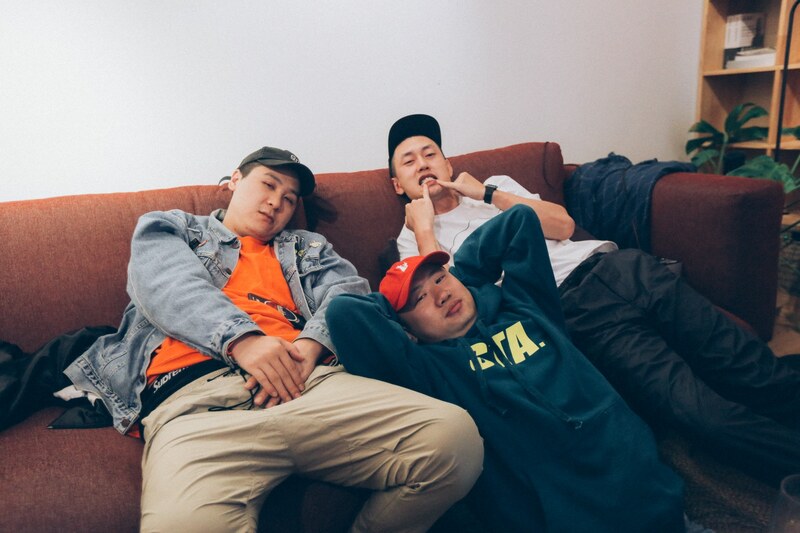 Buoyed by the success of the city’s rap supergroup, GOSH Music, Chongqing’s hip-hop scene has exploded in the last couple of years. 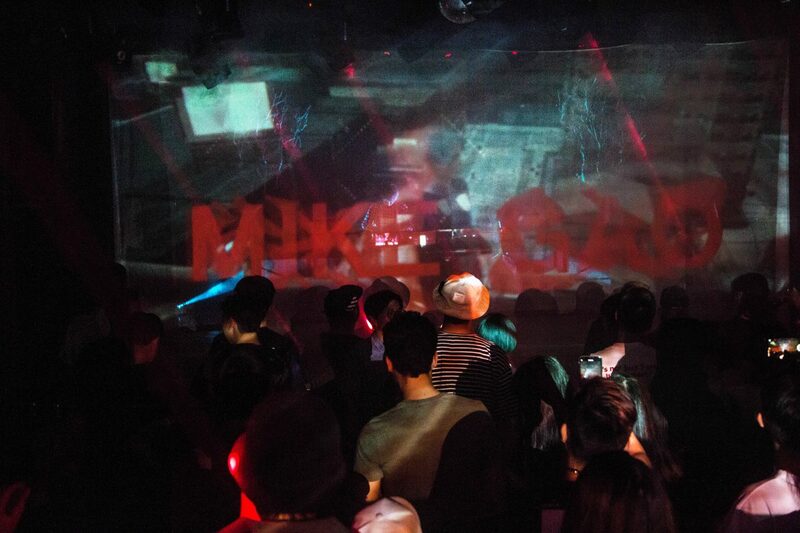 Five years ago, it was difficult to hear contemporary hip-hop in a venue, even less have a club wholly dedicated to it. On the night I’m there, there’s an all-female lineup put on by local promoters Baemix. Local artist ZesT小天 (ZesT xiaotian), bespectacled and backpack firmly on, commands a horde of (mostly female) fans. Later, I’m told she’s still in secondary school. The promoters also tell me that this just scratches the surface of local female hip-hop talent. To see such gender balance across both artists and crowd is a refreshing antidote to the male-dominated Western clubbing landscape. 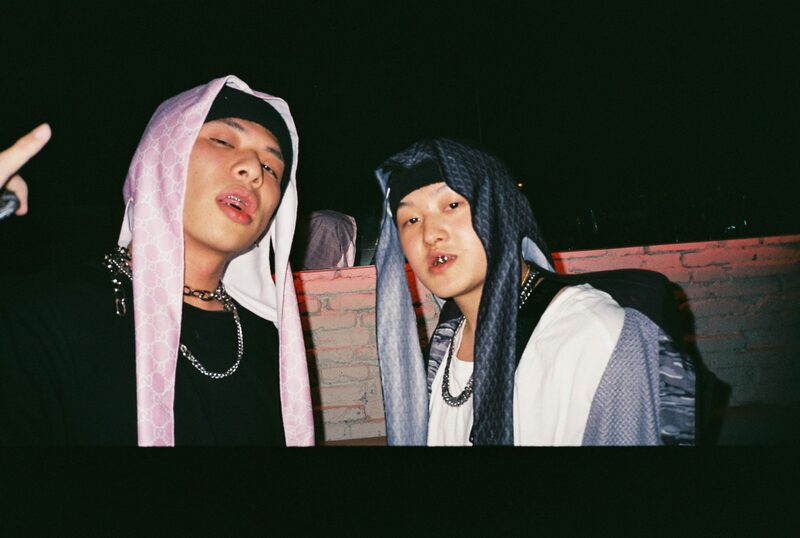 Hopefully, it’s a sign that as Chongqing’s scene evolves, it will be able to chart a path different from the prevalent hegemony of Western club culture. The scene’s development is not without its difficulties. Speaking to Tronik and Shannon, two Americans who take care of programming at Cream, the recurring theme of regulatory and police pressure rears its head. 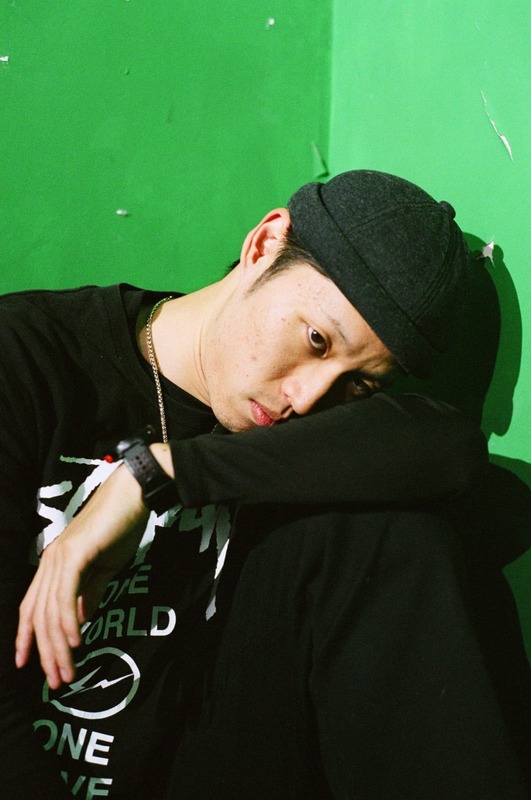 Tronik, a Texan by birth, states “a lot of spaces operate in a greyzone— it’s never black & white and the lines are always shifting.” This is never far out of mind for most venues, but it’s easy to fall into the trope of thinking that every aspect of Chinese life, including nightlife, is heavily scrutinized by the State. Make no mistake— China is an authoritarian state, but the everyday reality is more prosaic. 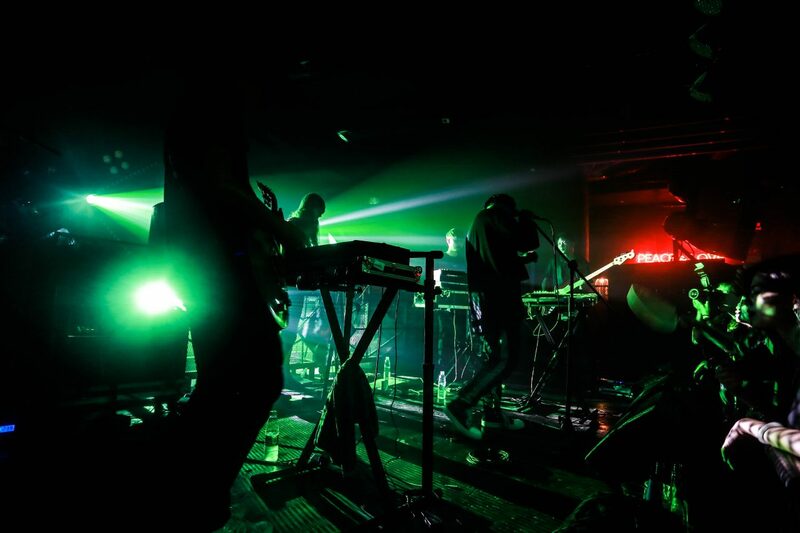 Underground venues often don’t attract sufficient crowds to warrant intense attention. 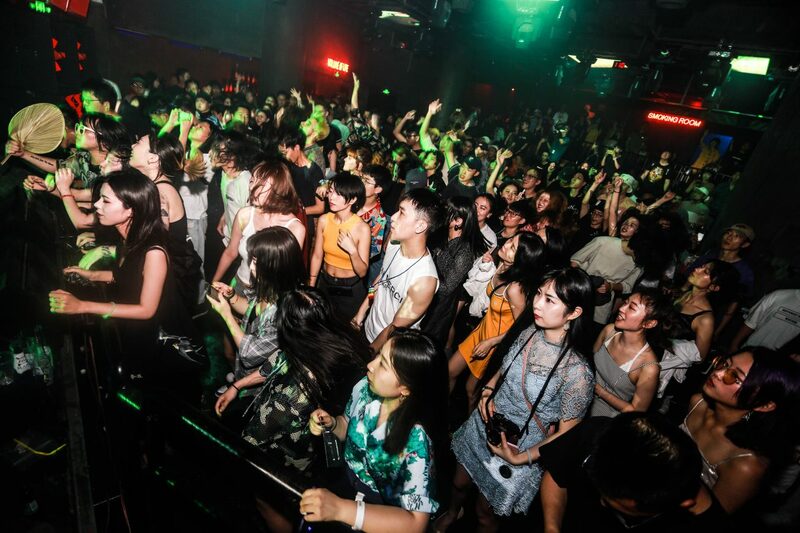 In a number of ways, Chinese venues are freer than their counterparts in Western cities: several venues in Chongqing don’t have strict licensing times, decibel levels are often pushed to teeth-shaking levels and age restrictions are lax (to say the least). That’s epitomized by the city’s wild warehouse raves, with countless stories of parties at its margins that rage into the next day (or two). There’s a potential to do things in Chinese cities that are impossible in the capitals of American and European clubland. A lot of spaces operate in a greyzone— it’s never black & white, and the lines are always shifting. The basement of the 339 Television Tower resembles a horror video game’s obligatory shopping mall level. Neon storefronts break up a succession of unmarked metal doors. Behind almost each of these doors lies a nightclub. Chengdu is a special place for nightlife in China. 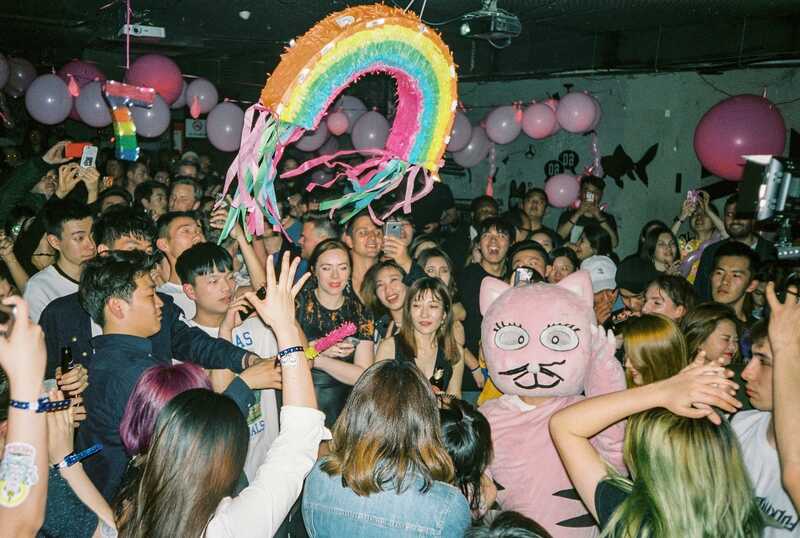 A combination of political discretion afforded by Beijing, cheap property rents and a local culture which emphasizes leisure all contribute to an ecosystem ideal for incubating club culture. The clubs in this basement alone outnumber comparable venues in Chongqing. That’s not to mention the Polycenter in South Chengdu, which from the outside, resembles any other anonymous residential block in China. 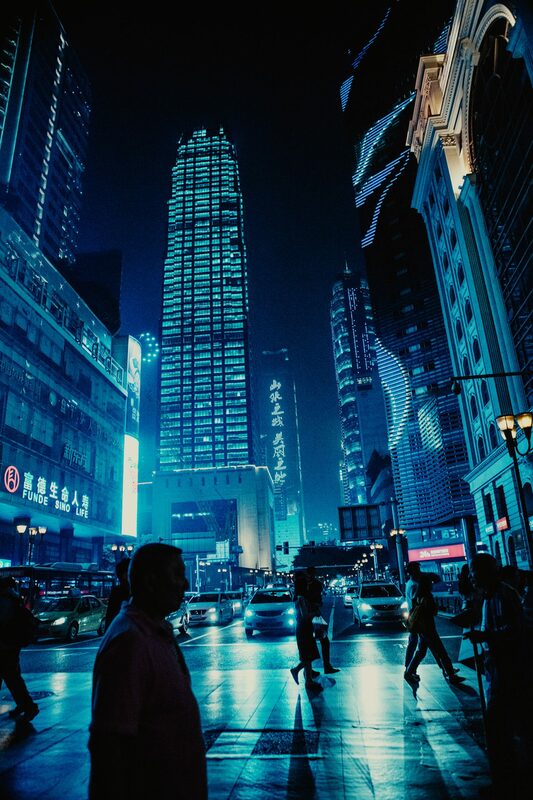 However, if you take the lift to the either the 19th or 21st floors, you’ll find their hallways littered with metal canisters—empty shells from the consumption of Nitrous Oxide, a party drug that’s legally grey in China. The building houses some 10+ clubs on those two floors. On a Sunday at the tail end of Golden Week, these same hallways are littered with exhausted bodies. However, upon closer inspection, these are mostly staff members. 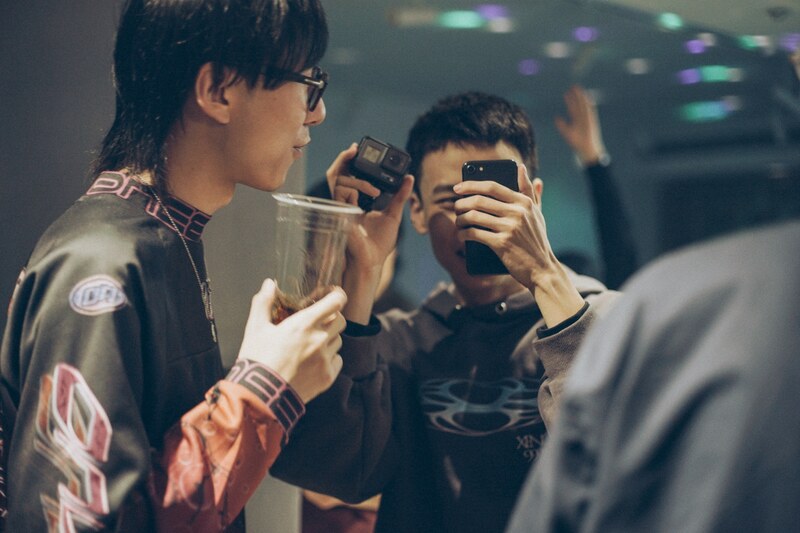 Three quarters of Nox’s dancefloor is populated with tables on any given night, where customers prefer to play dice-based drinking games like Liar’s Dice—or chuiniu in Chinese—being particularly popular, rather than dance. Nox also receives generous personal investment from its owner to alleviate its operational losses. 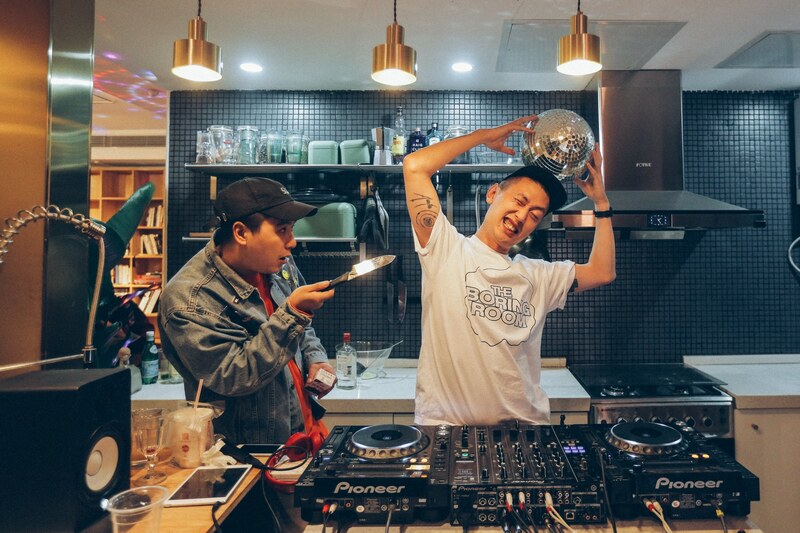 The reality is that underground club culture in most Chinese cities, Chengdu included, is often an endeavor of passion. Scenes are maintained off of the back of individual’s selfless perseverance. Nothing better demonstrates this than Ellen, the owner of TAG, the legendary Techno jewel in the Playcenter’s myriad venues. During the first years of TAG, she juggled the responsibilities of ownership with pregnancy (and then a baby). She’s previously said: “At the beginning, I thought about giving up 100 times. But every night, maybe 4 to 5 people would come up to me and say ‘we love TAG.’ This spirit, those people, that’s what made me keep going.”. Chengdu is a special place for nightlife in China. A combination of political discretion afforded by Beijing, cheap property rents and a local culture which emphasizes leisure all contribute to an ecosystem ideal for incubating club culture. Modernity and tradition co-exist in plain sight in Xi’an. The imperial capital of China for over 10 dynasties across 1,000 years, history diffuses through its streets. It’s telling that several of the city’s venues are literally built into Xi’an’s traditions, located in the archways of the city walls which trace their roots back to the Tang Dynasty. 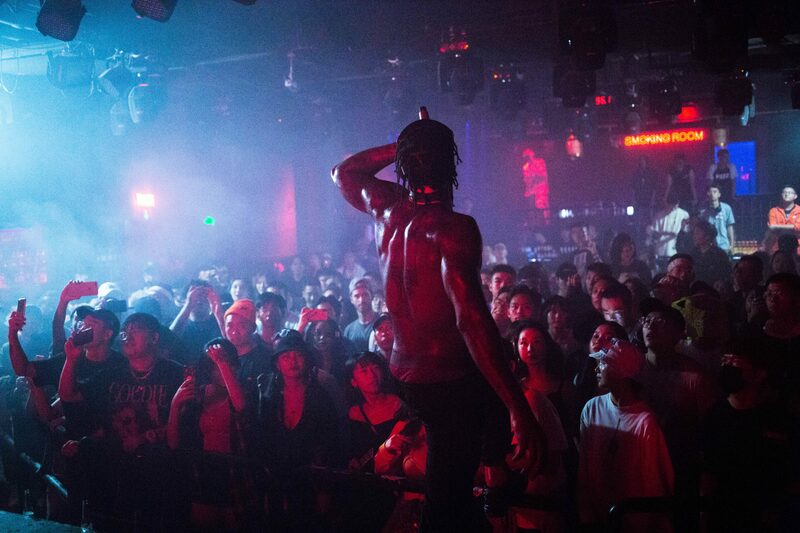 Likewise, traditional values have a major influence on the city’s music scene. 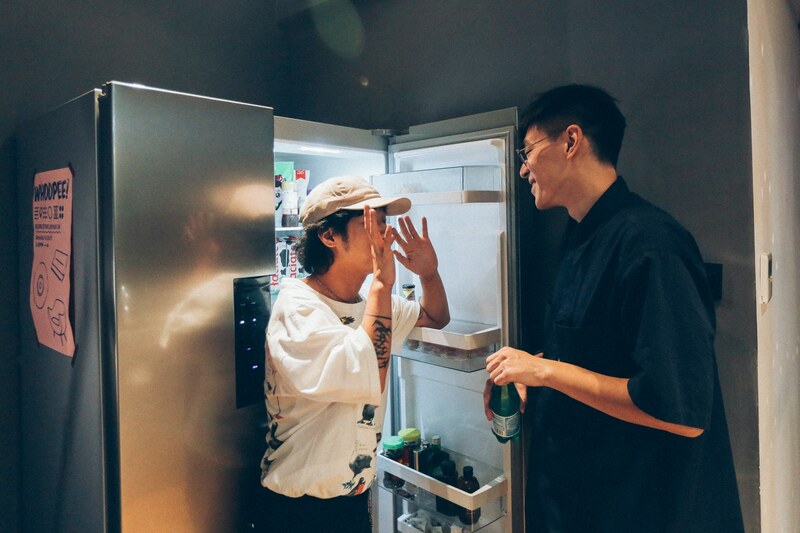 Speaking to guests at a house party run by The Boring Room (a longstanding music collective in the city), there’s a simple reason why most of them are in Xi’an: family. Fathers, mothers and grandparents exert a strong pull on everyone here. For them, the rebellion that comes with a lot of club culture in the West only extends so far. It still has to sit alongside the importance of the family. Few, if any people, in Xi’an are defying their parents’ wishes to live in a squat and get fucked up from Monday to Sunday. 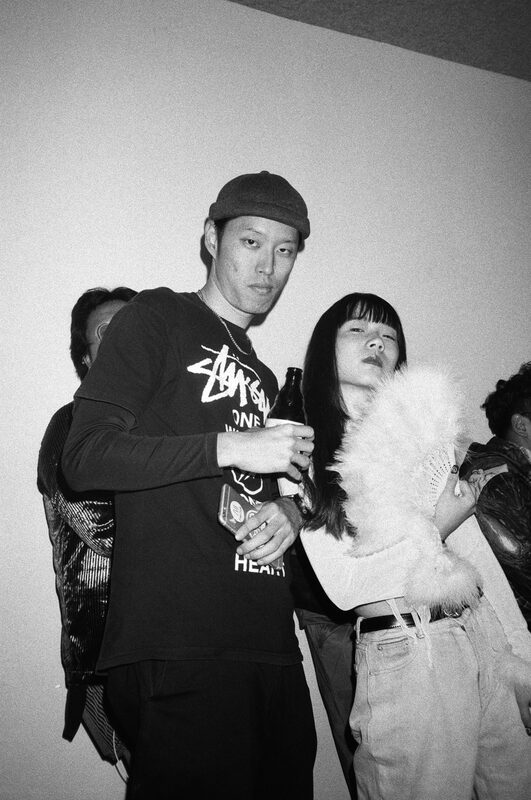 For them, the rebellion that comes with a lot of club culture in the West only extends so far. It still has to sit alongside the importance of the family. Few, if any people, in Xi’an are defying their parents’ wishes to live in a squat and get fucked up from Monday to Sunday. 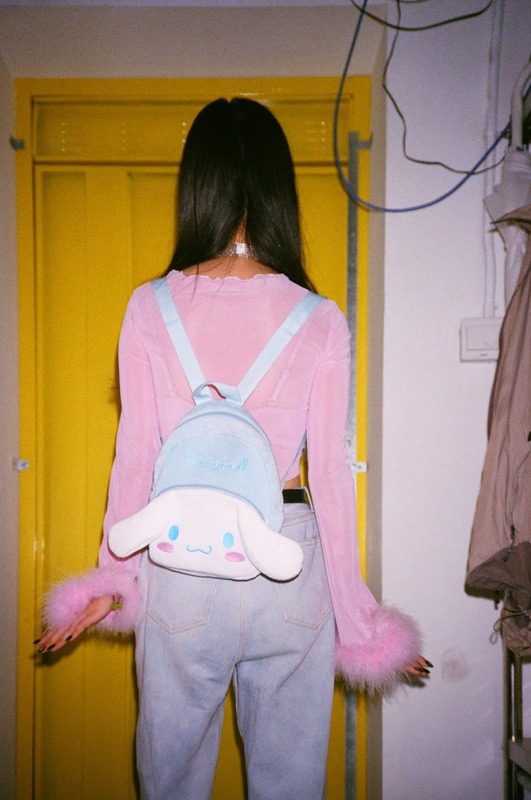 Beijing is a city with real pedigree when it comes to underground culture in China. 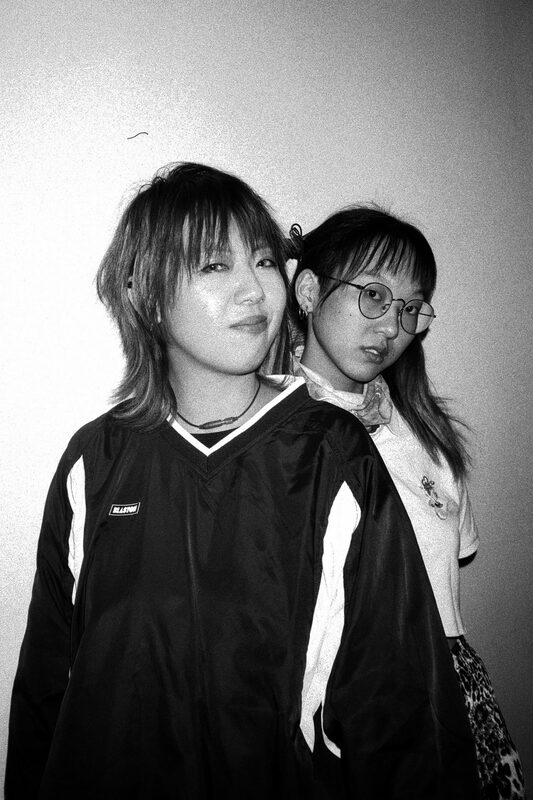 In the early ’90s, a tight-knit collective (amongst them Yan Bing, You Dai and WengWeng) formed the foundations of China’s techno scene (check out the excellent documentary Break The Wall for a thorough history) and laid the infrastructure for some of the China’s most storied techno clubs, including the infamous Lantern and the now sadly defunct White Rabbit. Their exploits, including a legendary party on the Great Wall of China, gained international notoriety at a time when contemporary Chinese culture had little cachet on the world stage. That’s not to mention Beijing’s rich tapestry of rock and experimental music, which is probably enough to fill another entire article. 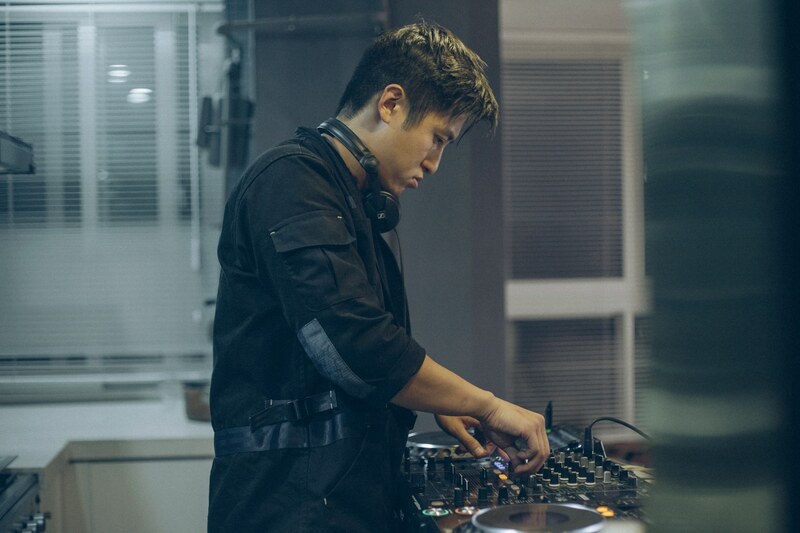 However, my night takes me amongst the back alleys (Hutongs) to Dada, which has stood tall for over seven years in the city’s historic Gulou district, flying the flag for bass music in the capital. Although the crowd only numbers some 40 ravers on the night, there’s a rawness that’s absent from other cities. The kids are all fucked. They’re blacked out on the sofas or pressed up to the DJ booth with sweat dripping down their chins. The energy is amazing. I can’t help but ask the crowd about Beijing’s famed techno scene but receive only lukewarm disinterest in return. Maybe that shouldn’t surprise me—these are kids who’ve chosen to get fucked up on a weeknight. That act in itself is one of rebellion; rebellion from institutions and expectation. These kids don’t want to go see the same DJs play the same kind of techno every weekend (Lantern is infamous for only permitting a very specific kind of minimal techno). 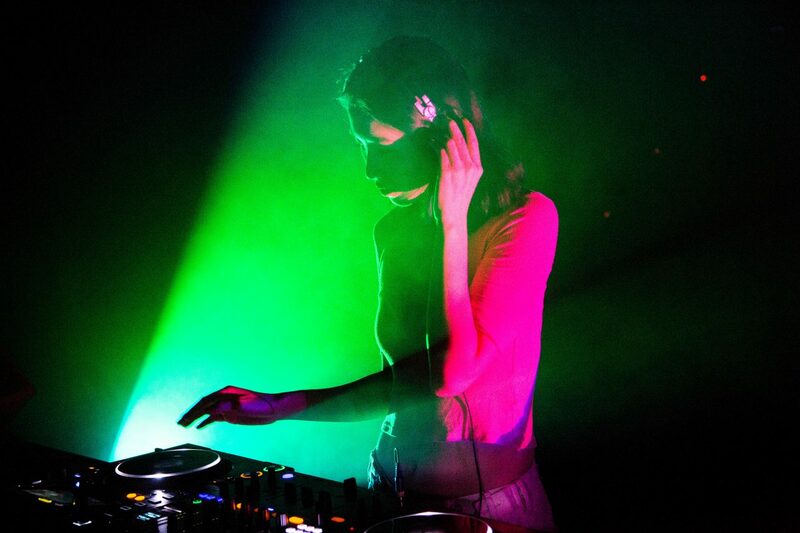 There’s a sense that, by virtue of its success, the techno scene has ossified into the very kind of institution it was conceived of to break against. That begs the question – what else can China’s myriad musical movements hope to develop into? 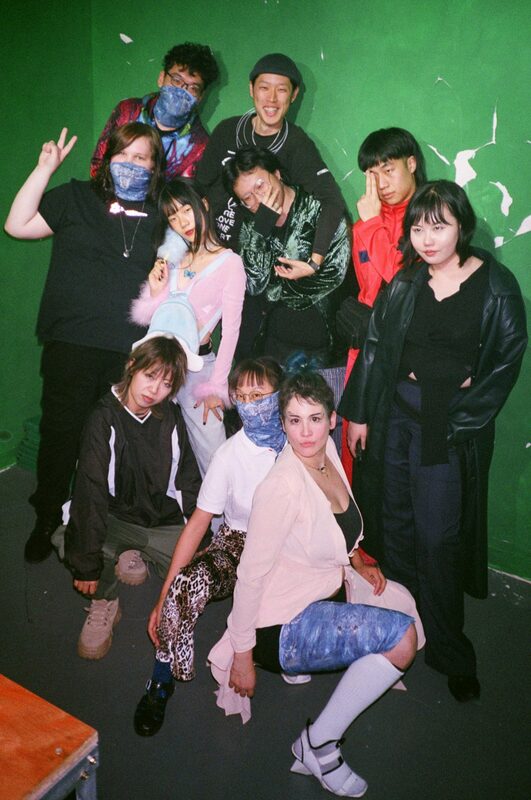 Fundamentally, Beijing’s Techno scene is still run by a core of OGs that have a defined vision of what club culture is: it’s hypnotic, it’s minimal and it’s a little wonky. Their passion is unwavering: they’ve been doing this longer before some of the kids in Dada were born. 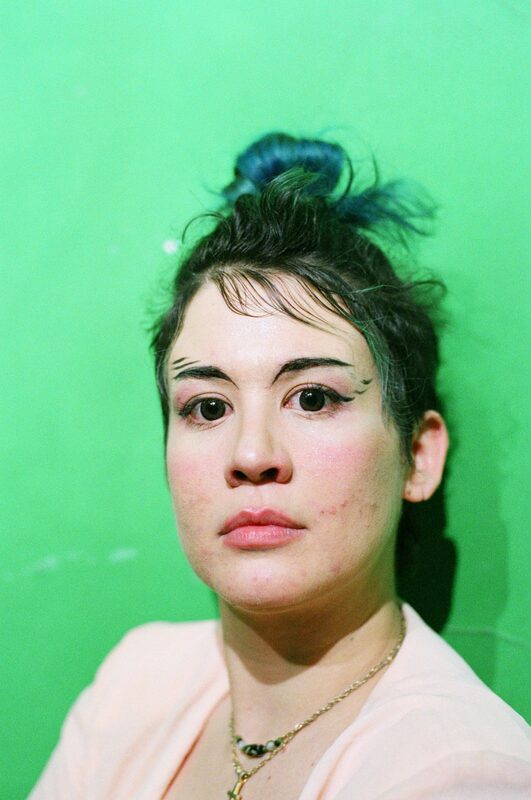 Their collective experience allows them to navigate the murky web of relationships and pack venues week-in, week-out in a city where politics permeates every street. Can you ask more for any more than that? 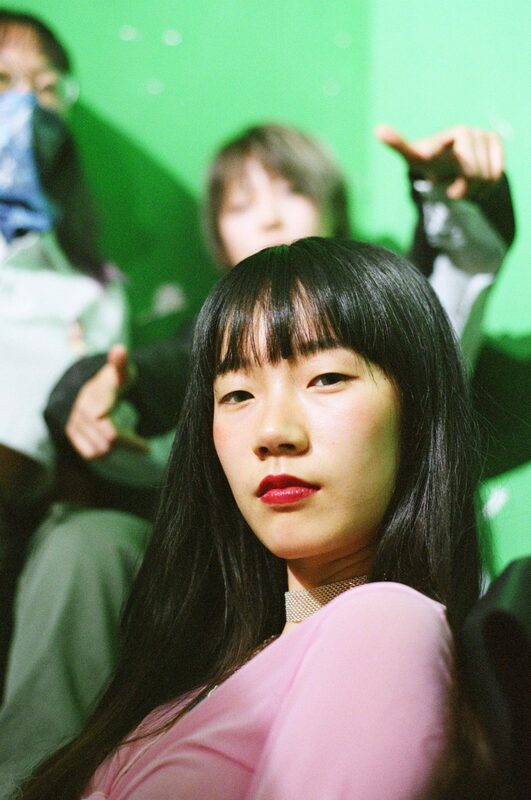 Mouna Press, a Beijing based DJ who’s heavily involved in the city’s art world, offers an alternative vision of what the club scene can develop into: “There’s an intense cross-pollination between different medias and disciplines blossoming throughout China, yet it still has a lot of potential to grow. 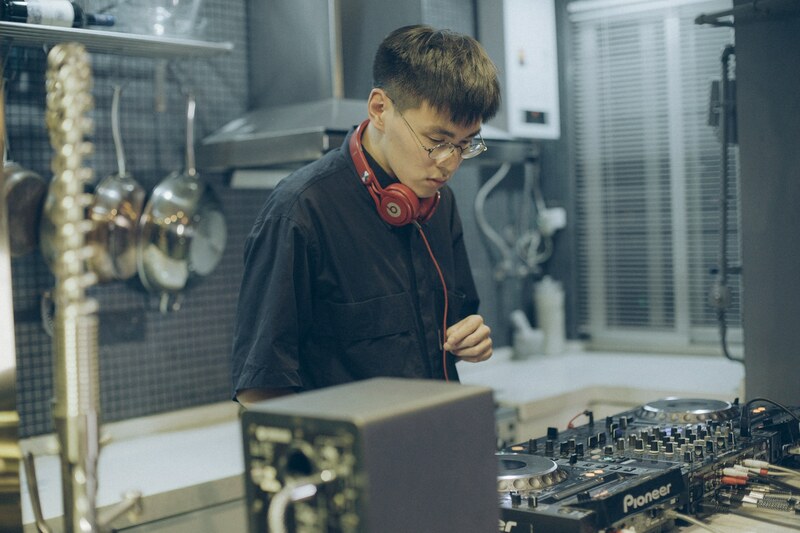 Beijing has an incredibly deep experimental music scene, yet its proponents very rarely make it into the club setting.” That commitment to experimentation could very well serve as another model for club culture in China. 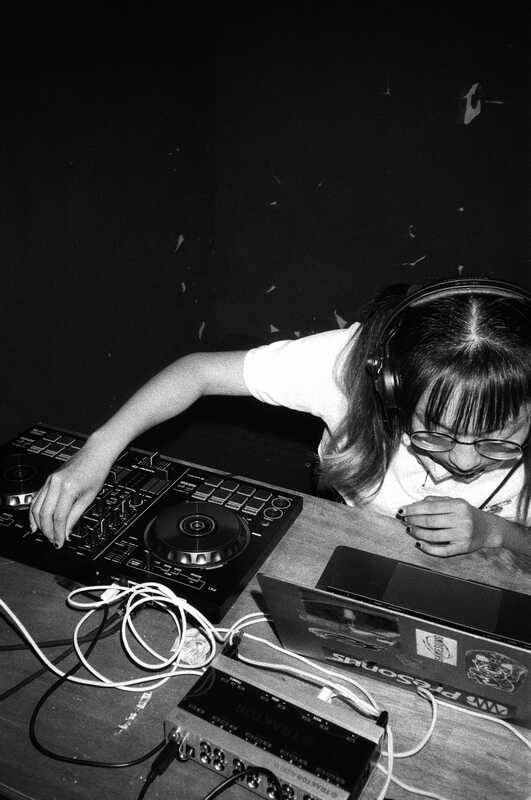 Fundamentally, the country is still largely a blank slate for underground club culture – that makes it fertile ground for nurturing innovation, unconstrained by the weight of expectation. They’re blacked out on the sofas or pressed up to the DJ booth with sweat dripping down their chins. The energy is amazing. I can’t help but ask the crowd about Beijing’s famed techno scene but receive only lukewarm disinterest in return. Shanghai is the international face of China, open for business, for everyone. However, if you enter the city via road, you’ll encounter police checkpoints on most of the major inbound highways. At these stops, the police intercept random vehicles to check the shenfenzheng’s (China’s domestic passport document) of the passengers aboard. Banners adorn the highways proclaiming that would-be visitors are entering“the most checkpointed city in China.” It’s here where regulatory pressure is most acute in China’s club scene. Compared to Chengdu, Shanghai venues must tip-toe more carefully around the whims of local authorities. On the weekend of my visit, several are forced to alter their opening hours in order to accommodate the Shanghai International Import Expo, an event taking place some 20 kilometers away. This intense scrutiny even extends to a personal level. 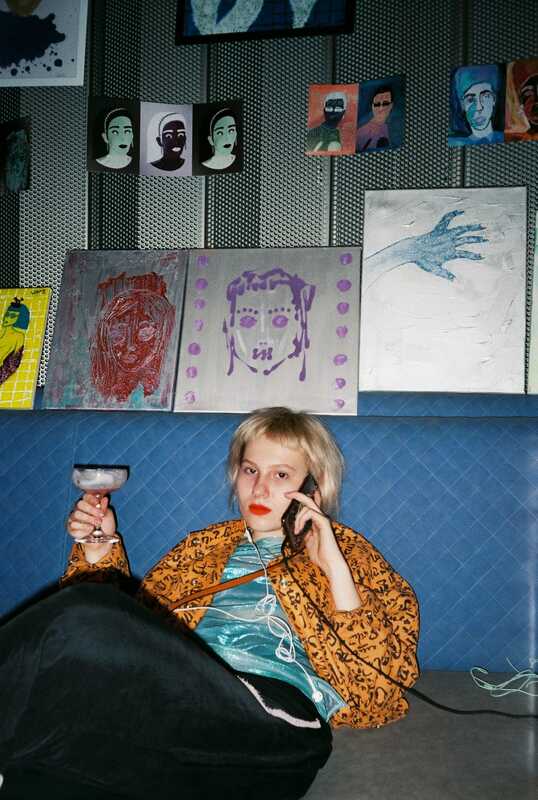 It’s widely whispered that there are “art spies” — people who attend shows, who will grab a drink with you, but report back to the local authorities if any of your activities step out of line. There’s an underpinning sense of Stockholm Syndrome in Shanghai. Almost everyone I speak to grumbles about the city— they complain about the rent, the police pressure and the dizzying commercialism. Yet ultimately, they stay here. 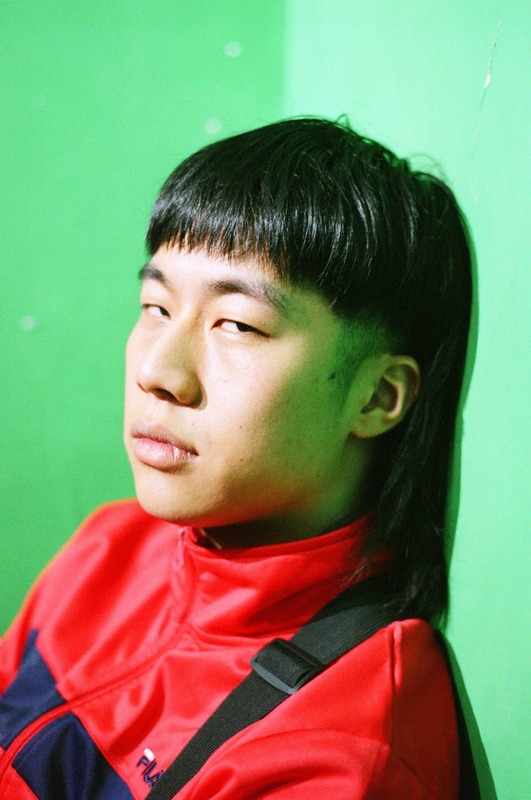 When quizzed why, Difan, one part of Shanghai Community Radio (a community-driven internet radio station), and a born-and-raised Shanghaier, states that: “despite the challenges. It’s still a city full of opportunity.” Her response draws some initial skepticism from her partner in crime, Katy, a Texan transplant who’s been in China for close to a decade. 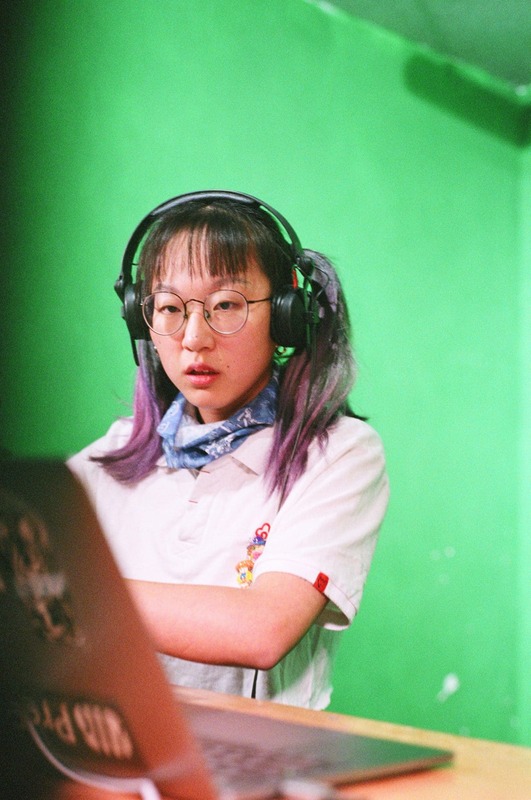 However, she’s quickly reminded of one of Shanghai Community Radio’s funding sources— a WeChat transfer from an investor over a lunchtime meeting that gave her enough funds for a six month lease on the studio as well a bundle of new equipment. Ultimately, pressure makes diamonds, and no Chinese city better epitomizes that than Shanghai. Shanghai’s constraining pressures have forced its community to innovate and collaborate. Love Bang, a longstanding promotional outfit in Shanghai, found its social media accounts hacked and used to promote an assortment of nonsensical advertisements (often involving the sale of duck necks as food items: go figure). In response to that, they created an entirely fake network of counterfeit social media accounts, running each post through Google Translate 5 times in a loop, which were used to promote a “bootleg” Love Bang party, except that party was the real deal. That’s a level of engagement we rarely see in an age of factory line content. 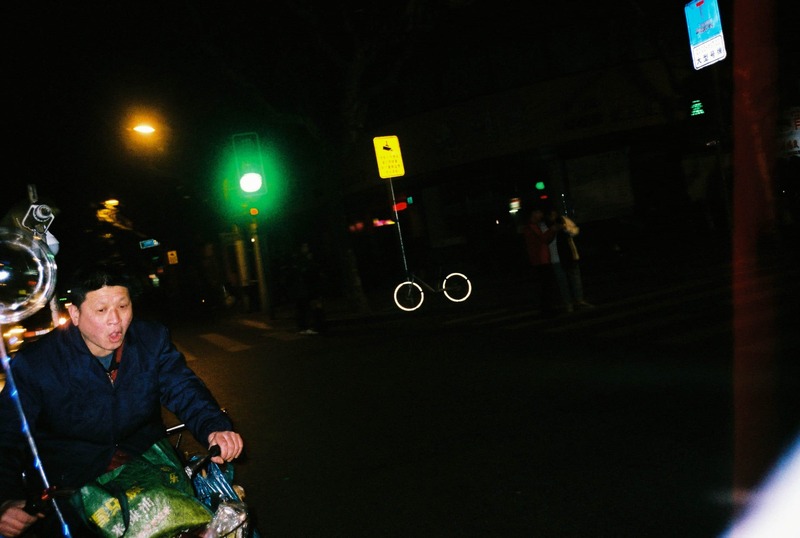 Likewise, you don’t need to dig deep to uncover the roots of Shanghai’s tight-knit community. Like Xi’an’s scene, there’s a sense of family in Shanghai. The city’s beloved Elevator Club (named because of the claustrophobic elevator which takes you to its 4th floor location) was forced to close due to the landlord hiking rents. Whilst they search for a new space, they’ve morphed into a promotional outfit, including taking residence at nearby ALL. 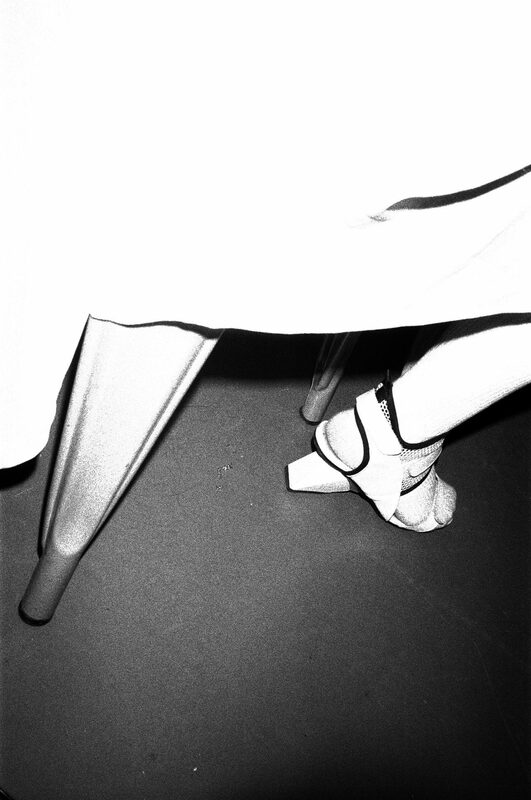 The two clubs’ musical ethos are markedly different (Elevator focuses on house & disco, whilst ALL is committed to a form of experimental club music), yet the collaboration feels natural. It’s a mid-week November afternoon in London when I get a text from a friend telling me that OIL has just been raided. Several individuals were apparently taken in by the police. That very same weekend, the club is absolutely rammed, celebrating its first birthday party with a line-up of over 30 local artists and promoters who had all been vital in its development over the last year. 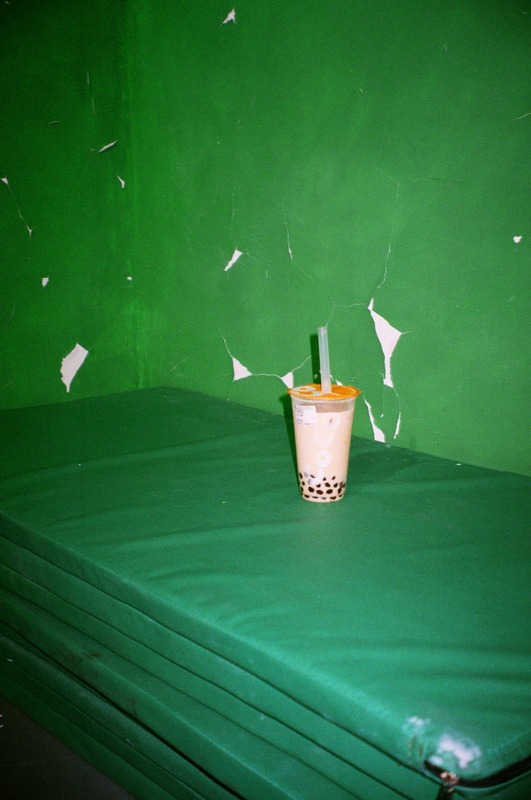 Perhaps this contrast best exemplifies the state of underground nightlife in China. It’s a ecosystem that’s under pressure yet thriving, rebellious yet traditional, heavily regulated but free. 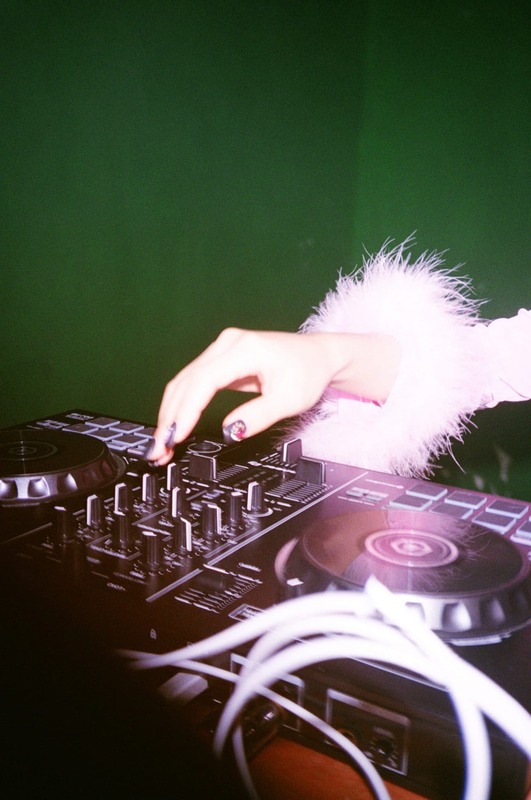 China’s club scene, much like the rest of the country, abounds with beautiful contradictions.